Need to ship a container from India to the US? Service Shipping Inc. is one of the largest freight forwarders handling thousands of containers imported from India into the US each year. Due to the large volume of containers Service Shipping handles, they are able to offer below market shipping rates that no other company can beat. Whether it’s a 20 or 40 foot container, Service Shipping has an Indian Break Bulk Division that handles all containers coming from India being shipped to the United States. Delivery door to door at any port within the US can also include a customs clearance and trucking arrangements. Working with one company throughout the entire import process makes it easier and more cost effective for the importer. 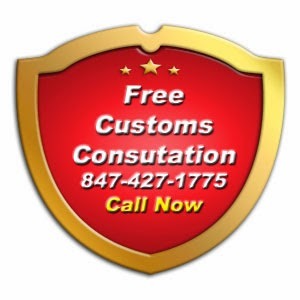 Customs Clearances – All Ports Within the U.S.
Our Indian Break Bulk Division specializes in the shipment of all types of goods shipped internationally from India to the U.S making sure freight meets government standards for a fast and easy delivery. Streamline the process of importing freight by using an experienced Customs Broker and Freight Forwarder that specializes in international cargo involving India. To help increase economic growth, the Indian government has invested money in growing its transportation infrastructure. This has helped reduce transportation costs of cargo being exported from India which leads to larger profit margins for distributors and retailers worldwide who are receiving the goods. The goal of this project is to make transportation easier, more cost effective and faster by opening up new roads and railways. The long term investment made by the Indian government will increase shipping productivity and the amount of exports coming from India.